In the past, Benidorm was just a small fishing village. But after several decades, this small coastal town in Alicante became one of the most popular tourist destinations in Spain. These days, the village is known for their booming hotel industry, towering skyscrapers, and relaxing beaches. It also helps that the summers here last longer than winter. As a coastal town, you can expect that there are a lot of water-based activities such as swimming, riding a boat, scuba diving, cable-skiing, and a whole lot more. However, one can also explore the village’s museums, parks, and gardens if you just want to relax and have a quiet time to yourself. 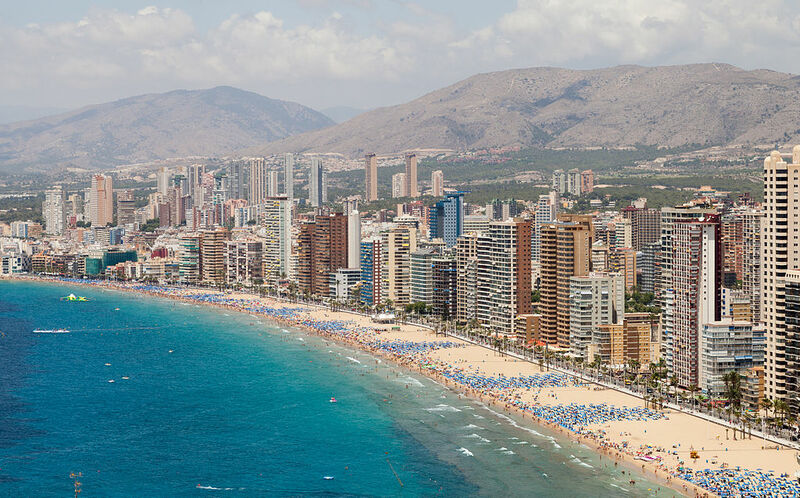 If you are planning to spend your holidays in Benidorm, then here are several tourist destinations that you should visit. Your trip to Spain won’t be complete if you haven’t tried to explore the county’s underwater delights! The crystal clear Mediterranean waters, sunny climate, and vibrant marine life make Benidorm a favorite among veteran and inexperienced divers. There are various diving spots in the village. La Llose is a perfect site if you want to see eels and large breams. There’s also a 2nd Llosa wherein you can see lobsters and gorgonies. If you want to dive in a cave, then you can visit the Enano’s Cave. One of the most popular zoos in this town is Terra Natura. This wildlife park offers its visitors a trip across different exotic regions in Europe and Asia. You can find more than 1,500 animals here. The Safari Aitana, meanwhile, is located in the mountain regions of Pas Valenciano. In this zoo, you can find zebras, giraffes, lions, tigers, and other amazing animals. The Bioparc Valencia is also an interesting park that you should visit. It’s a wonderful zoo that recreates an authentic wildlife environment in Africa. Lions, chimpanzees, and gorillas roam freely in the Bioparc Valencia. Mundo Mar is one of the most popular aquariums in Benidorm. They feature dolphins, sea-lions, and exotic birds. The Oceanografic found in Valencia contains more than a thousand flora and fauna from the underwater world such as sharks and dolphins. This aquatic park can be found in the City of Arts and Sciences. Do you know other cool tourist attractions in Benidorm? If so, feel free to share your awesome experiences in the comments section!